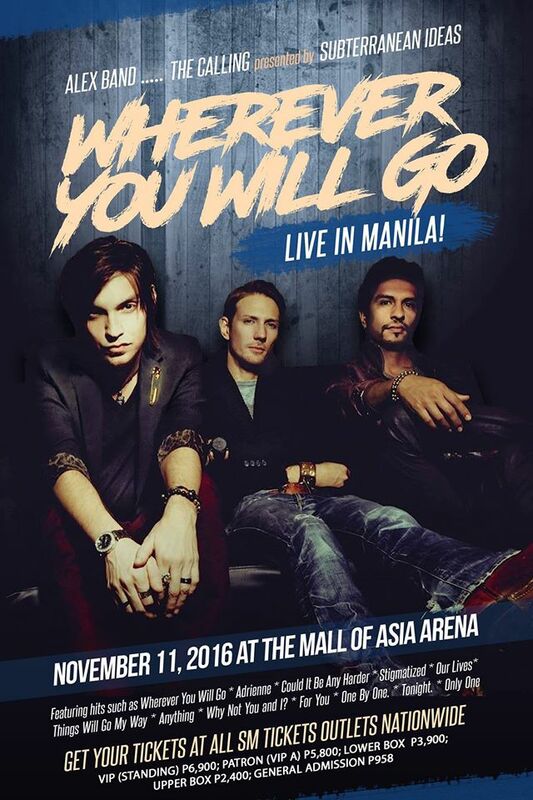 Alex Band and the rest of The Calling, which brought hits like "Wherever You Will Go," "Stigmatized," "Could it Be Any Harder," "Adrienne," and more stopped over for the Manila leg of their tour on November 11, 2016 at the Mall of Asia Arena in Pasay City, Philippines. Earlier during the day, a meet and greet was scheduled. I wasn't there. I was very early later at night though; before 6PM yet it was already dark. The show started late, long after opening acts from the local band scene like Bonifacio Republic. I found it rather ironic when this band made a statement about supporting Filipino music but they were a front act for an international group. I support their sentiments though, specially that song "Lumot" which is a sad plight for some kababayans, floating like (insert that word here). But that deserves a different post. When the big event finally started, the crowd's reception was overwhelming. Everyone was often singing along as the band rocked. #Shortgirlproblems made it difficult to make my way through the towering crowd. 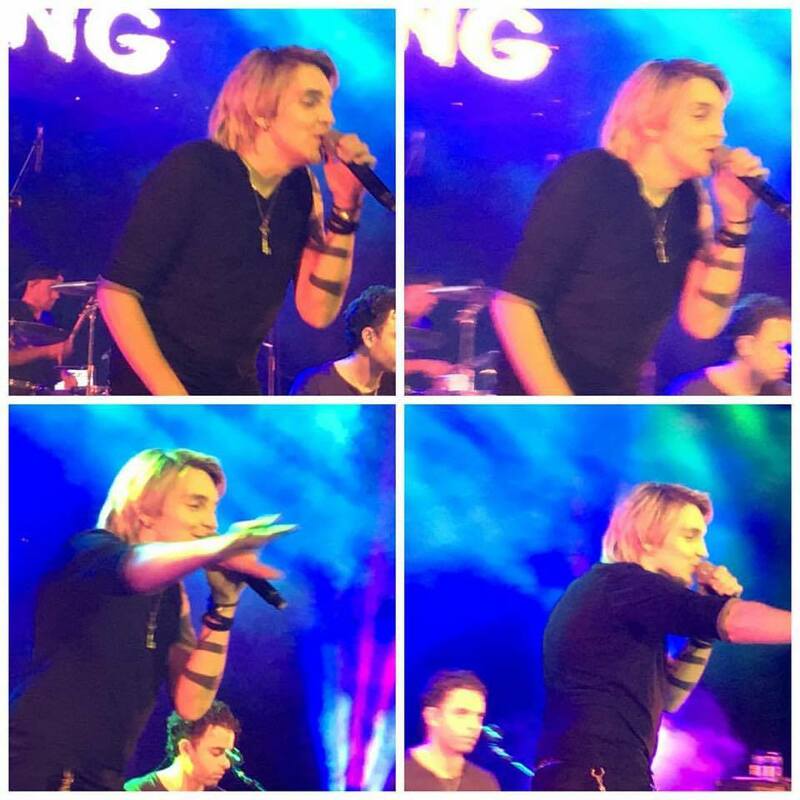 I had to peep through hands and hand held phones too just to have a glimpse of Alex. More images I was successfully able to take amidst the crowd. The songs played were lifted from their albums Camino Palmero and Two. These include their massive hit Wherever You Will Go (which they played twice, once on acoustic), Adrienne, Stigmatized, Could It Be Any Harder, Things Will Go My Way, Our Lives, and For You. The band also played Why Don't You and I (Alex Band's collaboration with Santana), a cover of U2's With or Without You, a single from Band's solo album which came out at the brink of the record label EMI's demise (he kinda forgot some of the lyrics too), and a new track for their upcoming album. Alex Band was sharing bits and pieces of trivia before singing some of the songs such as for Our Lives which was played during the 2004 Olympics ceremony, EMI's role in his solo album, and more. It's also the group's first time to ever perform in the Philippines. The only ones I was able to capture. Disclaimer: Phones, hands, and screaming fans abound. Alex disappeared for about a minute, more or less. He came back after changing a shirt. While he was away, the band played a long intro to Stigmatized. During that time, two girls on my right side agreed about not posting any picture or video on their social media accounts. It appears that they work at night and went absent for their shift to watch the show. Nice; naughty but nice. After the show, there were no Uber or Grab drivers available because I waited till everyone was out; well, not everyone. Even the driver who got my booking was surprised that he was the only one available yet he was too far. The app can track drivers by up to 3 kilometers radius. There was also heavy traffic at the south area when it's normally clean at such time and day. I confirmed it was because of the concert. Yes, the driver knows The Calling and their songs. That was also nice!